Shopping for new carpet can be mind-boggling. Not only are there numerous colors, styles, patterns and textures to choose from, but there are also several things to keep in mind when you’re making your selection. While durability, foot traffic, plushness, personal taste and warranty are all common factors that will make an impact on your decision, there is one consideration that almost always tops the list – price. We all know how to read a price tag, but there are many other elements that will contribute to the overall cost of your carpet aside from the number you see advertised in the store. Make sure you don’t make the mistake of not properly budgeting for your purchase to include padding, installation and Denver carpet cleaning services. The price of carpet is usually calculated per square foot. However, this amount can vary substantially depending on the type of carpet fibers you’re looking at and how much of it you need. It’s important to measure the rooms you want carpeted a few different times to ensure accuracy. You don’t want to end up with too little carpet, and in fact, it’s always better to buy a little extra to have on hand for the future. The price of padding can also be figured out using the same calculations. Some people think they’re saving money by skipping out on having padding placed underneath their new carpet, but this isn’t generally a good idea. Padding serves to protect the structural integrity of carpet and preserve its original appearance. If your carpet and padding installation is not covered in the initial cost of the material, you will need to allocate additional funds to complete the process, which is usually charged per foot or per job. Depending on what you require, installation expenses may include delivery, the removal and/or replacement of furniture, removal and disposal of old flooring, preparation of the floor before carpet is placed down and any additional products needed to finish the installation (i.e. moisture barriers, adhesives, baseboards, etc.). Finally, in order to protect the look, feel and fresh smell of your carpet, there are certain things you will need to invest in. 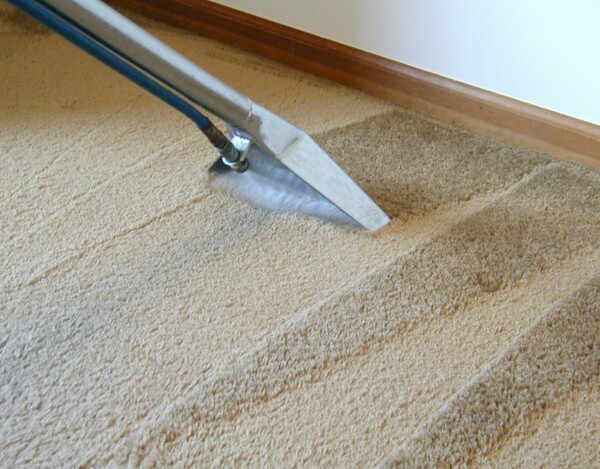 A good vacuum, regular Denver carpet cleaning services and a stain protector treatment are tools that will help you achieve your long-term goals of maintaining an appealing and clean carpet that will support a healthier living environment. Taking into account that your Denver carpet cleaning services and all of these other components combine to make up the real cost of carpet ownership will help you budget correctly and make the right investment.